Bike boxes and bike traffic signals are becoming increasingly common in American cities. But as of yet, these tools are not fully recognized by one of the country’s most important engineering guides. Bike boxes and bike signals are currently classified as “experimental” in the Manual on Uniform Traffic Control Devices — which stops many local agencies from installing them. But there are new signs that these two treatments are on their way to official acceptance from the engineering establishment. The MUTCD is developed and revised by an advisory group called the National Committee on Uniform Traffic Control Devises. When that committee meets for its annual meeting in January, one of the recommended updates they’ll be considering is elevating bike boxes and bike signals to regular, non-experimental status in the MUTCD. Ronnie Bell, chair of the Signals Subcommittee, and Bill Schultheiss, of the Bicycle Subcommittee, both confirmed that their groups were forwarding these treatments to the full committee for approval after reviewing the performance data in American cities. In order to receive “interim non-experimental approval,” these recommendations will need to receive two-thirds support from the full NUTCD committee. In addition, the proposed changes must still undergo review by AASHTO and the Institute of Transportation Engineers, followed by a “rule-making period” during which design recommendations are fine-tuned. Bike boxes only work if they — and speed limits — are enforced. Bike signals that work are a great thing but I actually don’t know of many examples in the USA in terms of fully-developed, and full-featured implementation. Chicago…? Where else? And unlike the federal manuals, the NACTO guide can be updated every year to evolve the practice. Think of it like baby steps along the way to eventual Netherlands quality infrastructure. (I like to think we’ve reached 1980s Denmark with the current edition of the NACTO guide). 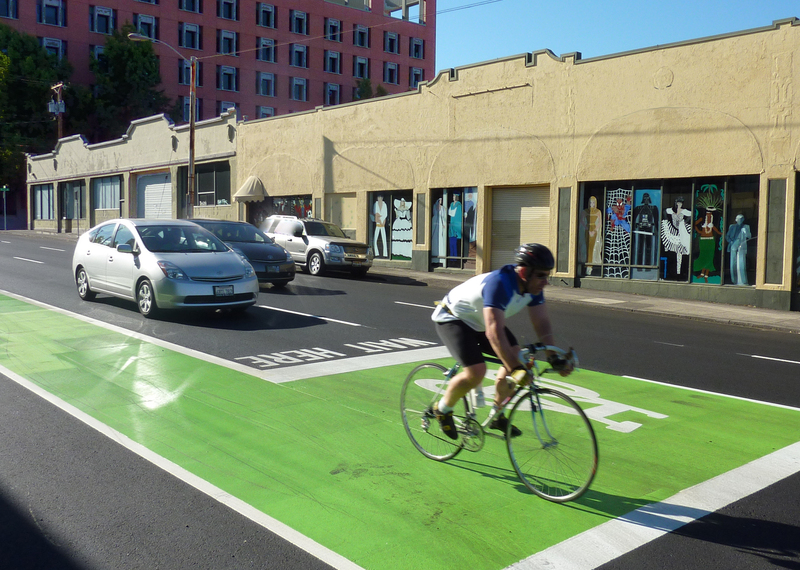 Portland, Ore has many bike signals installed at key locations to separate through bicyclists from right turning cars, to give bicyclists a head start, and for an ‘all direction green’ phase for bicyclists where all car movements are stopped completely. Thanks. Exactly. Keep on pushing. Not been to Portland and I don’t understand why what you mention is not more widely examplified. When Will America’s Street Design Bible Enter the 21st Century? Last year, the number of people killed on U.S. roads surged back above 40,000. But you don't see much urgency on the part of the transportation engineering establishment to change a failing street design paradigm. So we checked in with one of the engineers in charge of America's street design bible.